As personal as the material is, the album’s journey from concept to finished product took its own toll of work, anguish, and patience. “All the drums, bass and piano took two days to record, but the album itself took over two years to finish,” said Sahagun. “I’ve been really busy, and would sometimes put the tracks away for months.” A professor at Berklee College of Music in Massachusetts, Sahagun’s frequent traveling forced him to record in numerous locations including New York, Houston, and Las Vegas. Technical issues from a lost computer to natural disasters further held up elements of production and mastering of the release. It’s a perhaps a suiting uphill battle that makes the end result of Once Again With Feeling all the more gratifying and powerful. Sahagun has been described as having a “fantastic voice” by Ken Nelson (producer of Coldplay), and the band has been complimented by eleven-time Grammy winner Kenneth ‘Babyface’ Edmonds as a band with “cool songs.” Once Again With Feeling is digitally available everywhere today, including Spotify, Bandcamp, and Apple Music. 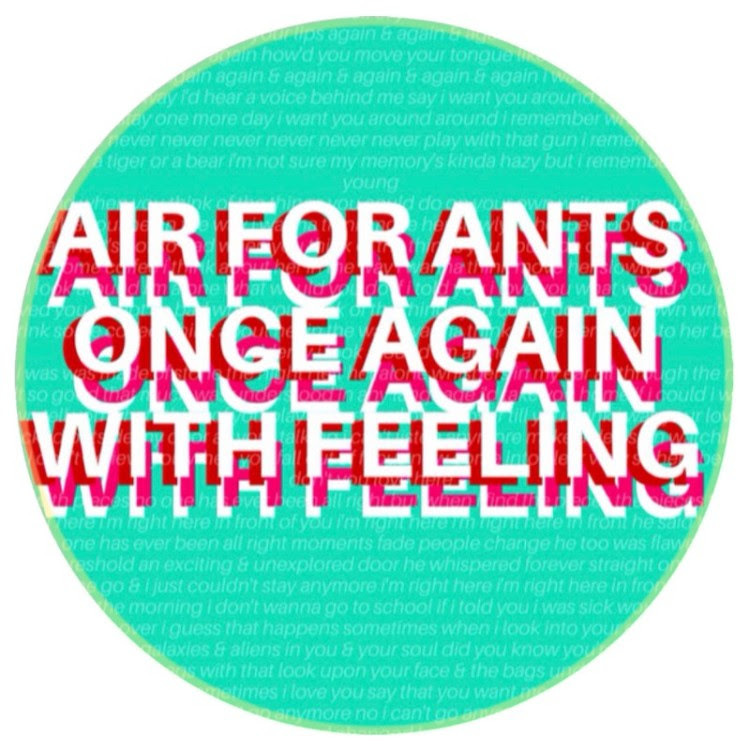 Air For Ants was once a solo experimental electronic project in 2010 and is now regarded by 11 time Grammy winner Kenneth ‘Babyface’ Edmonds as a band with “cool songs.” Upon hearing the 2015 album We Think It Was Raised by Wolves, Coldplay producer Ken Nelson stated that front man Dominic Sahagun “has a fantastic voice.” Dominic also teaches at Berklee College of Music.